A note arrives from Curtis Stokes at Curtis Stokes & Associates advising of a $100,000 cut in the price of Sean Noel's central agency, the 26.37m motor yacht Anna Sophia. Delivered by Australia's Warren Yachts in 2007, this superyacht sleeps six guests in a master, double and twin cabin and is now asking $4.85 million. 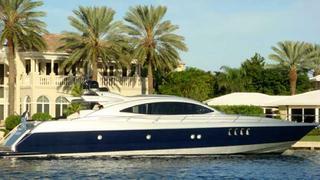 Anna Sophia will be on display at the FYBA open house at Fort Lauderdale's Bahia Mar Marina this Thursday, April 15th.